Why go through the awkward, itchy hassle of growing a real beard when you can just keep one of these Inflatable Beards in your pocket and be bearded in a matter of seconds? 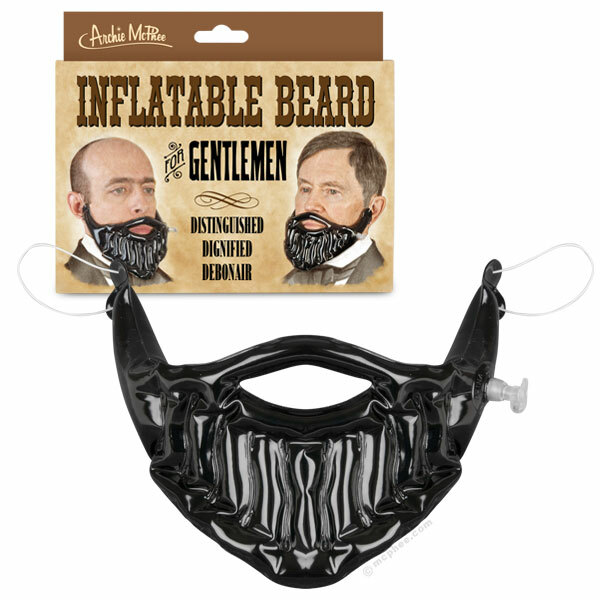 Archie McPhee, purveyors of pop culture, have invented the Inflatable Beard product for gentleman to instantly classify themselves as “distinguished, dignified and debonair”. Between this and their fingerless Handerpants, it may be difficult for men wearing them to “hold back the ladies”. In our recent post, Photos: A Tour of Archie McPhee Headquarters, you may remember Archie McPhee’s Graphic Manager, Scott King, donning one of the prototype beards.